When a health care provider or an attorney is negligent to an extent that deviates from accepted standards of professional practice, and when this negligence causes injury, there can be consequences. He or she can be sued for malpractice. Accountants and investment advisors can also be sued for malpractice, as can other professionals now held to a standard expected on the basis of their training and expertise. In light of this recent history, there is no reason to exempt leaders, people in positions of authority, from analogous accountability. As an example, Kellerman uses GM CEO Rick Wagoner, who it should be noted is a celebrated Harvard Business School alum. Consider the case of Rick Wagoner. For the last five years, he has been chairman and chief executive officer of General Motors. During this period he presided over an extreme example of short term profits being advantaged over long term interests, to the point where G.M. now claims that, absent an immediate federal bailout, it will be unable “to continue as a going concern.” Put another way, with Wagoner at the helm one of the greatest companies in the history of American business has been brought to its knees. This is not by any means to argue that the blame is entirely his, or that he in particular should be scapegoated for the calamity that has befallen Detroit. But it is to ask a hard question: should leaders like Wagoner be held in any way accountable, and if yes, exactly how? One possibility is to bring to the fore the concept of leadership liability – and by extension leadership malpractice. 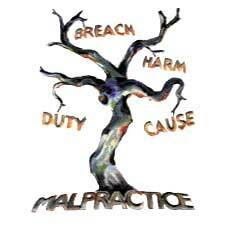 In cases of alleged negligence the medical and legal malpractice model, in which either there is a settlement or a trial in a civil court, could serve as precedent. Kellerman argues that organizational leaders, for the most part, are trained professionals. Many, like Wagoner, have advanced degrees from the most prestigious schools in the world where they were immersed in the study of leadership. Like other professions, she believe that leaders should be held accountable for their performance and introduces the concept of leadership liability and leadership malpractice. I’ve been thinking about this a lot lately too. It’s probably been caused by the recent parade of American corporate executives before Congress begging for bailouts. So I was really excited to see that Kellerman was writing about it too. While leadership liability and malpractice sound great in theory, the problem would be in judgement and enforcement. Unfortunately, leadership is very different than accounting, medicine, engineering and law where industry recognized standards and government imposed regulations make liability and malpractice more tangible concepts. Even there, billions of dollars and millions of hours are spent trying to prove who’s ultimately responsible. Yesterday Mr. Wagoner wrote a piece for the editorial page of the Wall Street Journal titled Why GM Deserves Support. It was laughable. I challenge you to find a hint of acceptance of responsibility anywhere in it. Elsewhere I’ve read that both Mr. Wagoner and UAW leadership warn about the impending doom that will befall our country if they aren’t shown the (taxpayer) money. Mr. Wagoner has also warned that to change captains on his sinking ship would make matters even worse and you can bet that the UAW will not be willing to make meaningful concessions to keep GM float. It’s ironic that three auto industry leaders appear before Congress explaining their imminent cashflow challenges yet each arrived via their own corporate jet. If they couldn’t have taken one of the dozens of flights from Detroit to DC,couldn’t they have at least jet-pooled it. It’s not like they were surprised to run in to each other on Capital Hill. Enough about GM and the auto industry. The point is that leadership without responsibility can not be leadership, pure and simple. While I like Ms. Kellerman’s theories of leadership liability and malpractice, I’m not optimistic that we’ll see something like this anytime soon. The closest thing that we might see is a stock market that acts as judge, jury and executioner of leadership at mis-lead firms like GM and Citibank. Tagged with GM, Harvard Business Publishing. Kellerman is right that CEOs should be held accountable for their actions and in fact, this is long overdue. Medicine is as much an art as a science, relying heavily on judgement. Providers try to think about all the possibilities. Why should that be any different for CEOs whose lack of planning and poor financial decisions cause thousands to be unemployed or wipe out the pensions of those retired while their own economic wealth remains intact. We hold certain professionals to a higher standard – why should they be exempt? Thanks for visiting and commenting. I definitely agree with you that executives should be held accountable in much the same way other professionals are but I'm not optimistic that this will happen anytime soon. It took quite a while for white collar crime to be treated as crime; let's hope that Kellerman's liability and malpractice concepts uptake a little quicker.